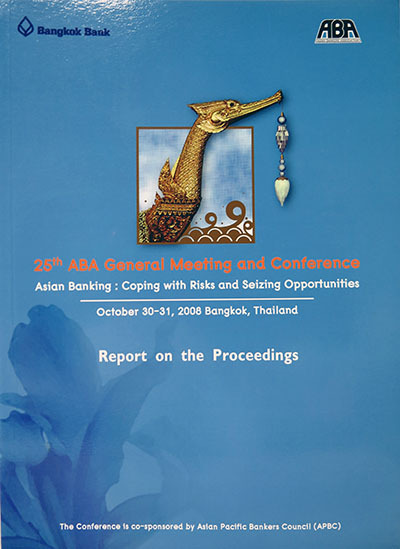 "Asian Banking: Coping with Risks and Seizing Opportunities"
The Asian Bankers Association (ABA) held its 25th ABA General Meeting and Conference on 30-31 October 2008 in Bangkok. Held at Dusit Thani Hotel, the event was hosted by the Bangkok Bank PCL, with some 150 leading bankers and bank regulators from 20 countries around the region in attendance. 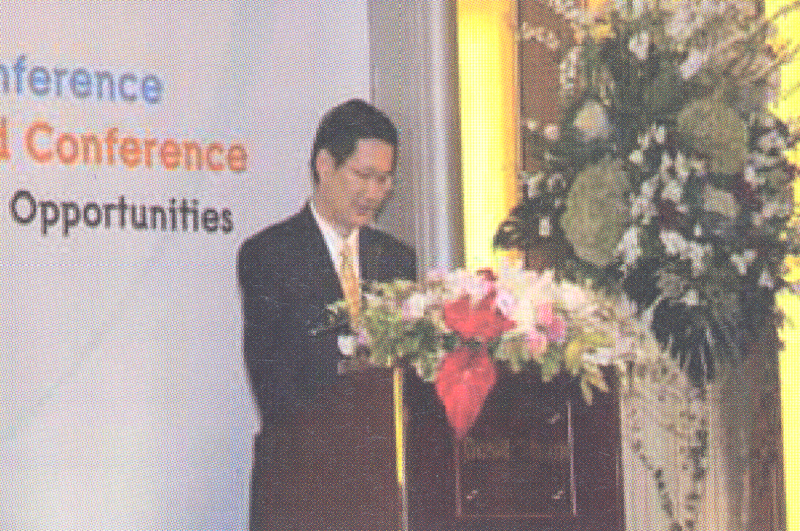 The 2008 Conference was held on October 31 and focused on the theme “Asian Banking: Coping with Risks and Seizing Opportunities.” For the first time, the ABA co-organized its annual Conference with the Asian Pacific Bankers Council (APBC). 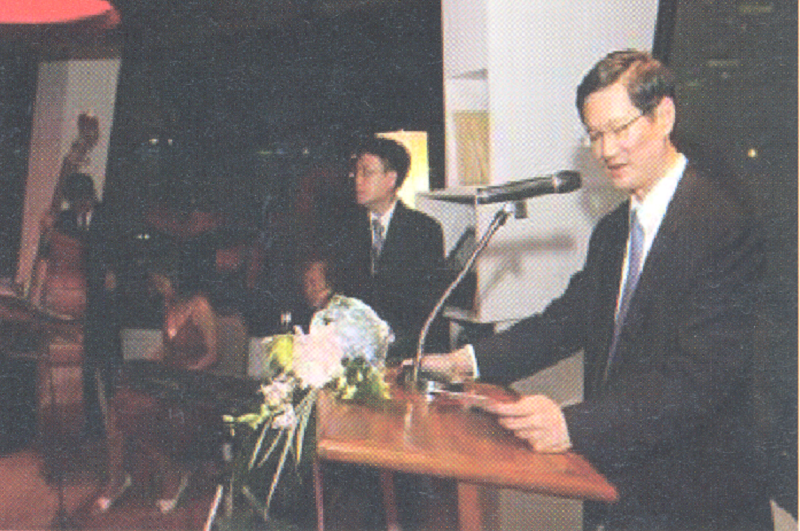 Deputy Prime Minister Dr. Olarn Chaipravat delivered the Keynote Address, while Governor of the Bank of Thailand Mrs. Tarisa Watanagase was the Luncheon Speaker. The ABA elected a new Board of Directors composed of 23 members from 20 countries who would serve for the next two years from 2009 to 2010. 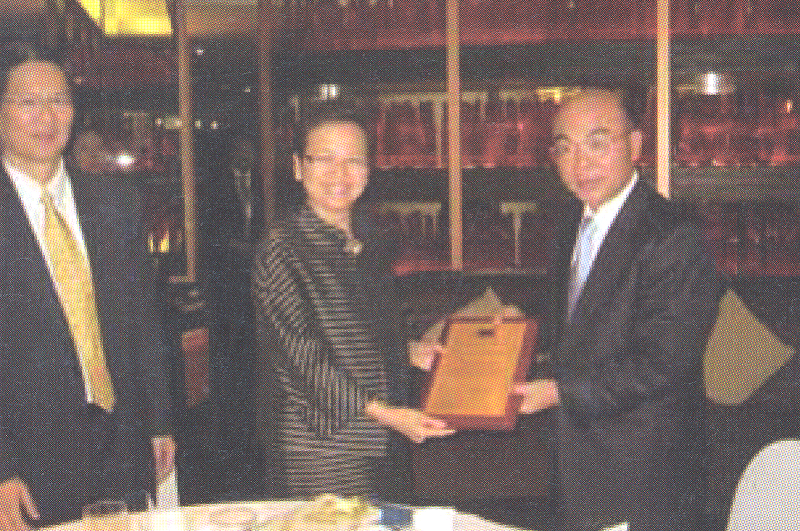 The new Board elected Ms. Susan Chang, Chairperson of Bank of Taiwan, as the new ABA Chairperson, replacing Mr. McKinney Y. T. Tsai from Bank SinoPac of Taiwan. Mr. Rajendra Theagarajah, Managing Director and Chief Executive Officer of Hatton National Bank, was named the new ABA Vice Chairman, taking over from Dr. 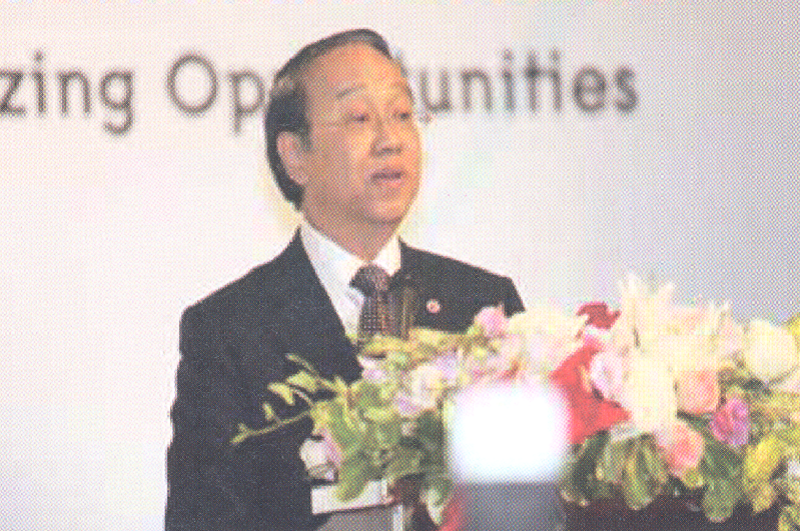 Vu Viet Ngoan, former Chief Executive Officer of the Bank for Foreign Trade of Vietnam. The ABA adopted its 2009-2010 Work Program outlining activities over the next two years in the area of policy advocacy, information exchange, training and professional development, strengthening relationship with other regional and international organizations, and membership expansion. 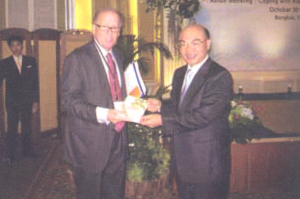 The ABA admitted 11 new members, including four banks from Mongolia (The Trade and Development Bank, The National Investment Bank of Mongolia, Savings Bank of Mongolia, and Capital Bank of Mongolia), two banks from the Middle East (Bank Muscat from Oman and Doha Bank from Qatar), one bank from Taiwan (Bank SinoPac), the Hong Kong branches of three non-Asian based banks (JP Morgan from the US, Deutsche Bank from Germany, and BNP Paribas from France), and Banks Association of Turkey. 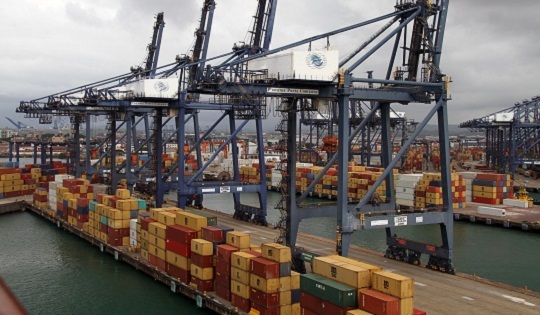 The ABA issued two position papers, one that focused on enhancing the region’s capacity for the cross-border implementation of Basel II and the implementation of Pillar 3, and another on the development of credit reporting systems in the Asia-Pacific region. 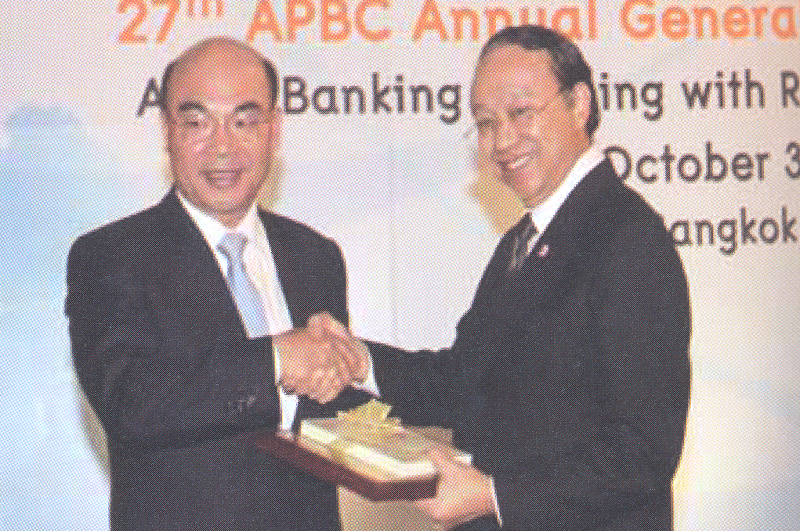 The ABA agreed to hold its 26th General Meeting and Conference in Manila in 2008 to be hosted by Rizal Commercial Banking Corp. The exact date and venue will be announced later after further consultation with the host bank. 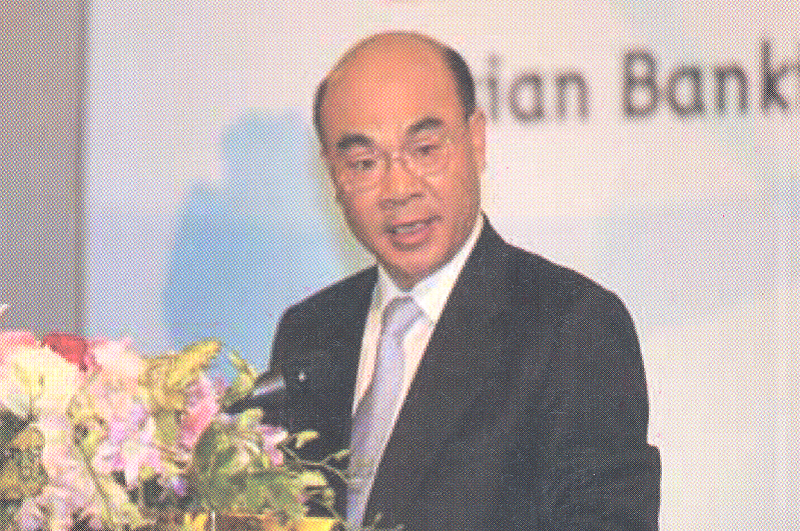 The ABA signed a Memorandum of Understanding (MOU) with the Thai Bankers Association (TBA) outlining possible areas of cooperation between the two organizations. 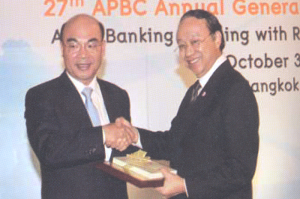 The MOU was signed by Outgoing ABA Chairman Mr. McKinney Y. T. Tsai and TBA Chairman Mr. Apisak Tantivorawong, President of Krung Thai Bank.